In a recent decision issued by the New York Appellate Division’s Fourth Department, the court affirmed the right of an injured party to bring a second claim against an insurer for disclaiming coverage in bad faith after their direct action had concluded. Read on to learn more about the case, and contact a seasoned New York insurance coverage attorney with additional questions. The recent case, titled Corle v. Allstate Insurance Co., is based on an accidental shooting between two boys. The father of the victim, James Corle, filed a claim against the boy who fired the weapon and his father, Jeffrey Teeter. Allstate, the insurer of the shooter, disclaimed coverage. Corle successfully obtained a judgment against Teeter for his son’s injuries for $350,000. New York Insurance Law § 3420 (b)(1), often deemed the “direct-action” statute, gives successful plaintiffs the right to file a claim against the defendant’s insurer to collect on a judgment. After succeeding in his claim against Teeter, Corle filed a direct action against Allstate and won, obtaining an award for $50,000 (the maximum amount available under Teeter’s policy). Teeter then assigned his right to file a bad faith claim to Corle, who then filed that bad faith claim against Allstate. Allstate filed a motion to dismiss this claim, arguing that Corle should have included the bad faith claim in the first lawsuit against Allstate. The court denied this motion and Allstate appealed. Courts encourage parties to be as efficient as possible, both to preserve judicial resources and to provide some certainty to the defendant that they won’t face endless claims filed by the same party. The legal principle of “res judicata” essentially states that, after plaintiffs have filed one lawsuit based on a particular incident, they may not file additional lawsuits with claims that could have been included in the original suit. That said, lawsuits based on serious personal injuries can happen in stages, especially when an insurer disclaims coverage, and there may be no way to avoid bringing multiple suits. In this case, the Fourth Department of the New York Appellate Division concluded that, since Teeter did not assign his bad faith claim against Allstate to Corle until after the direct action had ended, Corle couldn’t have included it in his initial lawsuit against Allstate. The Appellate Division affirmed the decision not to dismiss Corle’s bad faith claim, which can now move forward toward trial. The fact that the court permitted the bad faith law suit to proceed does not mean that the plaintiff will succeed. 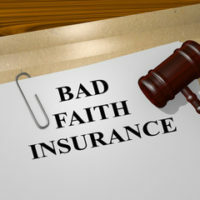 New York law is very conservative on bad faith claims and generally permits such recovery only if the case could have been settled within policy limits, liability was reasonably clear, and the insurer refused to act. The facts here do not appear to support a bad faith claim. 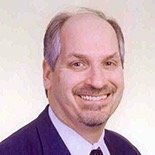 For seasoned, knowledgeable, and professional legal help with an insurance coverage dispute in New York, contact the Long Island Law Offices of Richard A. Fogel at 516-721-7161.